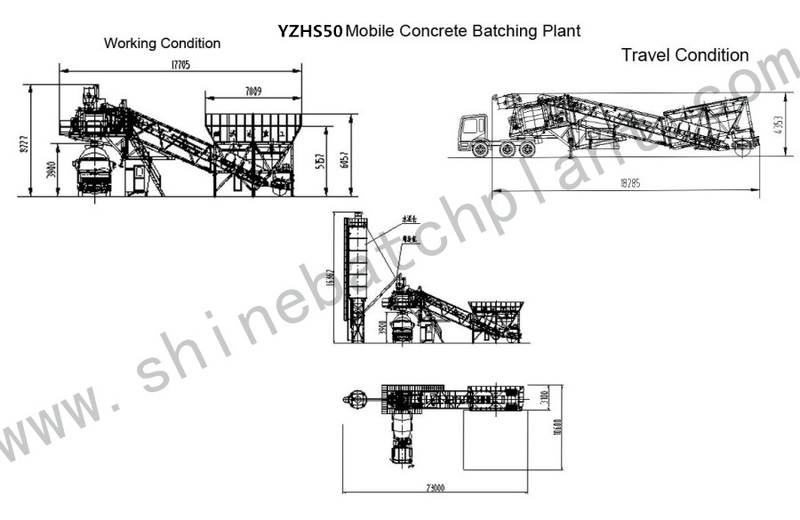 50 Mobile Concrete batch plant also called YHZS50 mobile concrete Batching Plant, using advanced automation control system, the performance simulation technology applied in the field of concrete, intelligent control, automatic control and manual control, real time observation and statistics of production process and production situation of mixing plant, building, can be connected to detect sand, stone, water content, concrete slump control, and can make online automatic temperature compensation, so as to achieve the purpose of the sand and water reducing, can provide remote communication interface so that each workstation data transfer to the office to read production process information, convenient management and high. 1.How to guarantee the quality of the products? 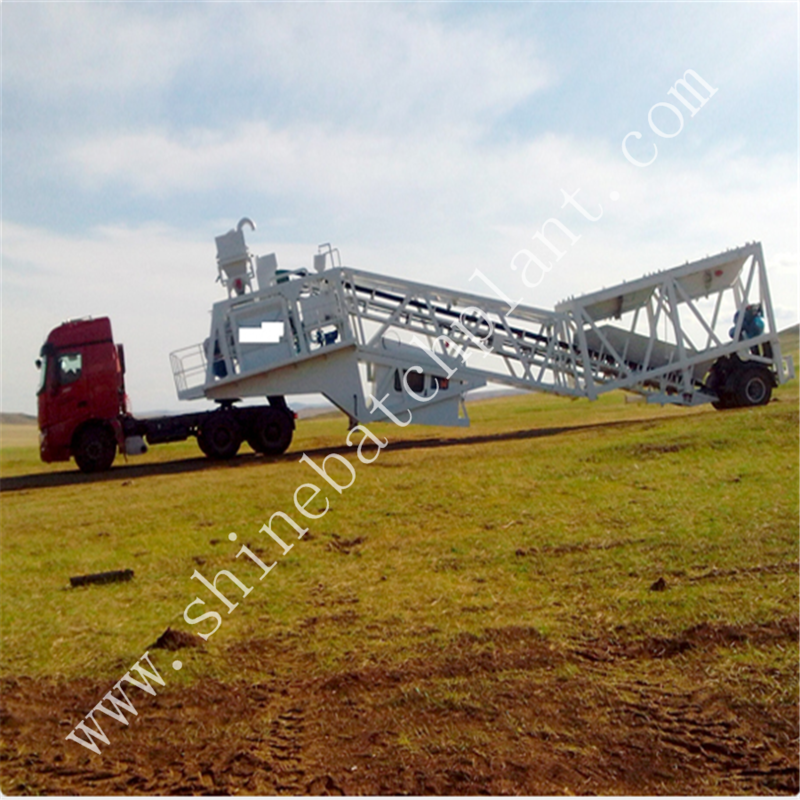 Established in 1999, we Shine machinery have more than 19 years of concrete batch plant machinery manufacturing experience. All of our machines are manufactured strictly according to the national and international standards. For export products, each machinery will be installed and test before ex-work to guarantee customer the high quality of our product. You can also use Trade Assurance for product quality protection, on-time shipment protection and payment protection. We are manufacturer, not dealer, so we can give you the lowest price based on quality guarantee first. 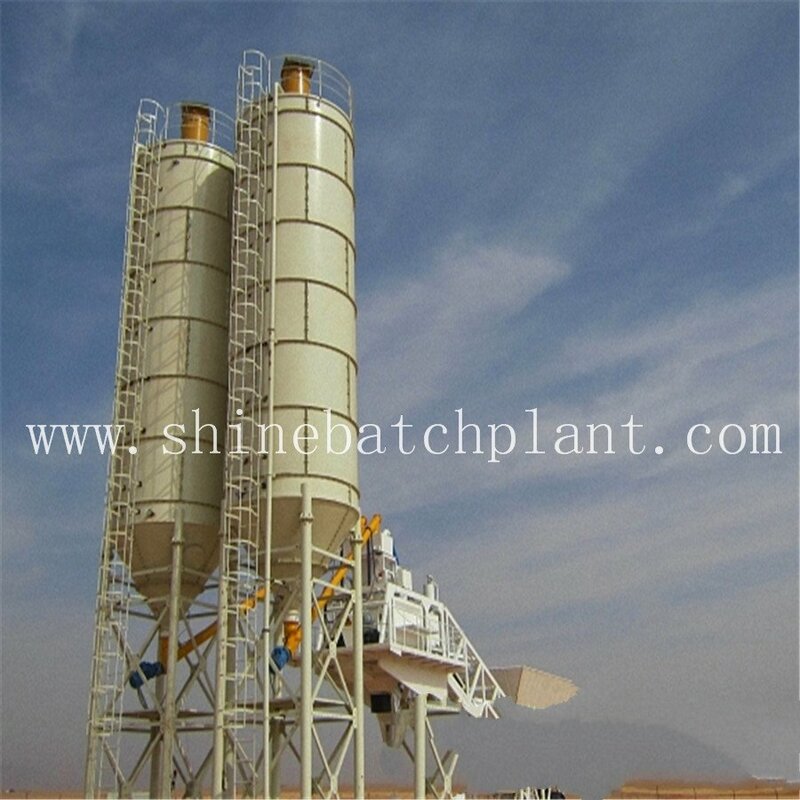 Concrete batch plants are investment products. We pay attention to general cost saving, rather than reduce price with ignore quality and service. 3.For machinery used in overseas, what kind of service can you offer to me? Our services include the following aspects. Firstly engineers are available to offer instruction from installation, commissioning and training to operator. Secondly we offer lifelong service for every machinery we sold. Most of our Concrete Batching Plant are still in good operation for more than 6 years. 4.Will you help us to build the factory and install the machine? Yes, we can operate project according to customer`s need. We give 12months warranty period since the plant is installed. We will offer some free parts if there is any damage expect some particular ones. Lifelong service is offered even you transfer or resell the plant. 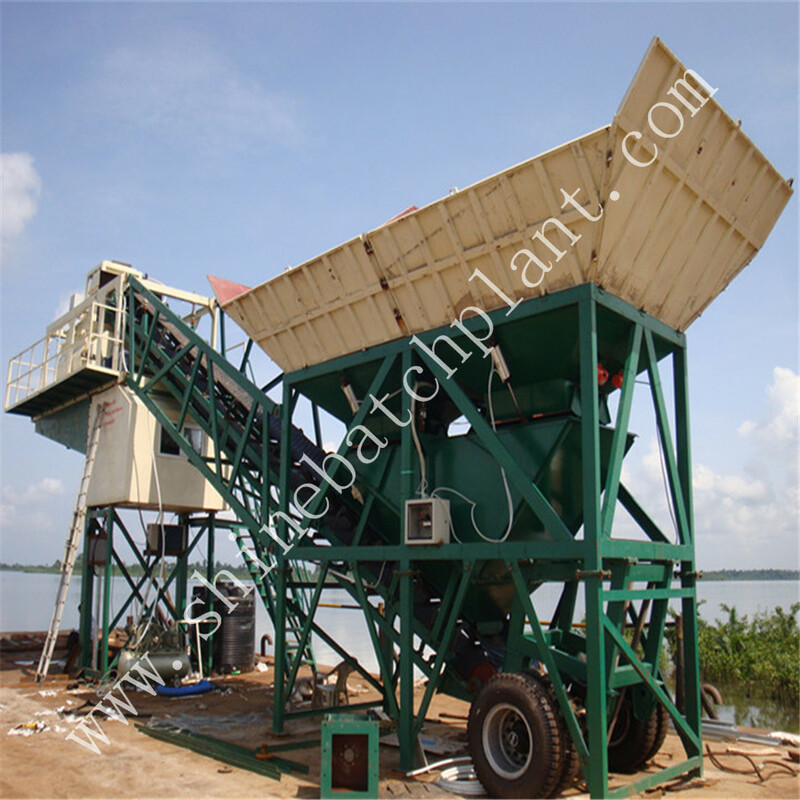 Looking for ideal 50 Mobile Batching Machinery Manufacturer & supplier ? We have a wide selection at great prices to help you get creative. 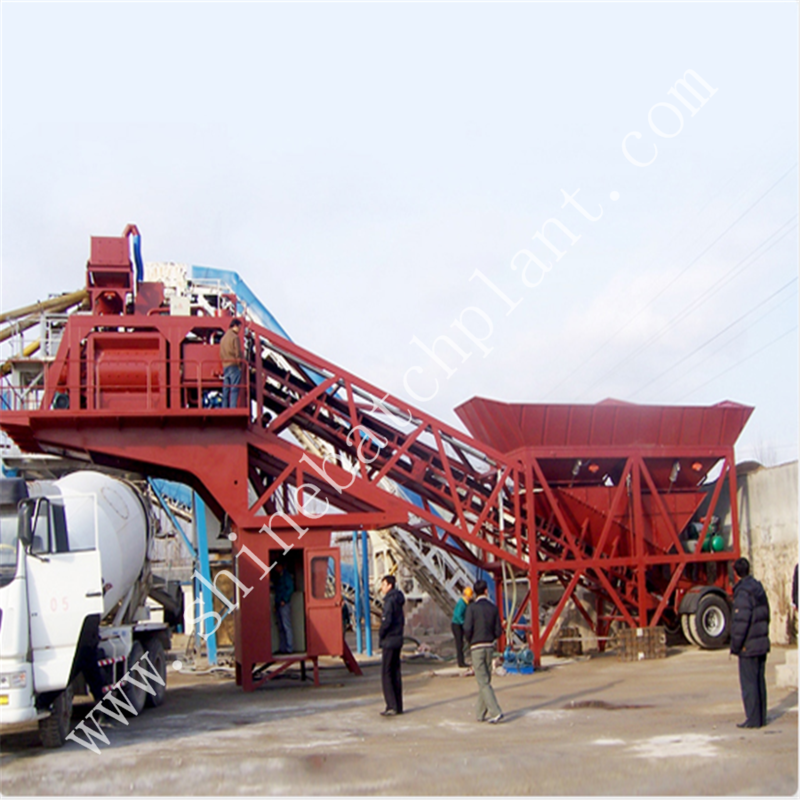 All the 50 Mobile Batching Plant are quality guaranteed. 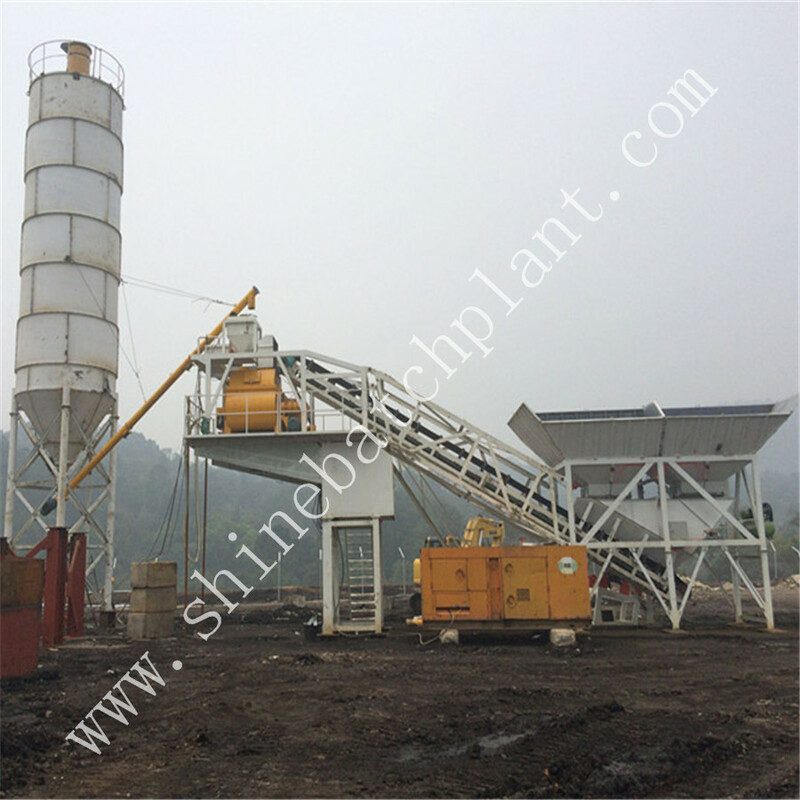 We are China Origin Factory of Portable Batch Plants. If you have any question, please feel free to contact us.